This trip is specially designed for those that have never been snowshoeing before – perfect for families with children from 8 years old plus. 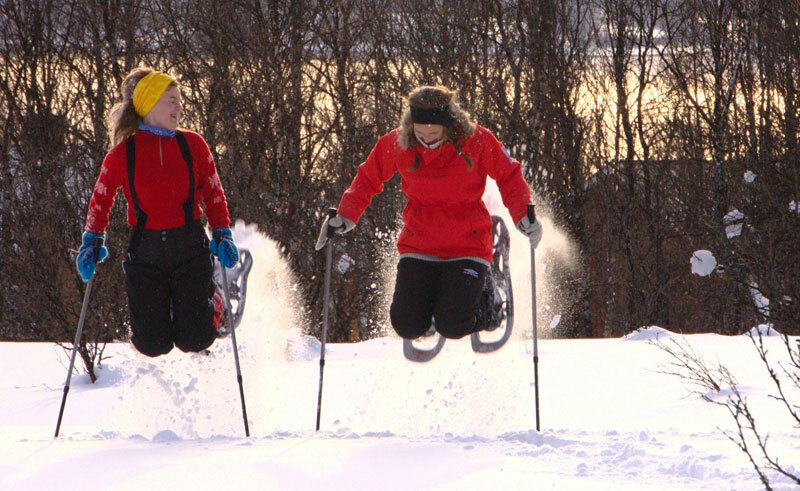 The location is based a few minutes away on the top of the Tromso island – you will first learn how to pull the snowshoes on and off and then head off walking slowly into the forest and getting to grips with this experience. The area which you cover is relatively flat and hilly in places and you will have plenty of opportunities to stop for a photo break or gathering information – there will also be a break during the trip where you can have a hot drink and snack. It is recommended that you bring plenty of warm clothes as the weather can change quickly in Northern Norway – you can hire footwear and clothing locally if you wish.